What is Bentley's All-School Summer Reading? Your choice of one, two, or three books! 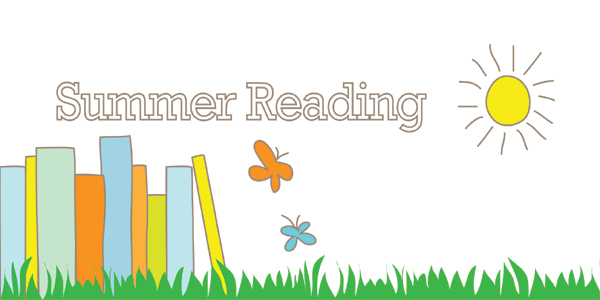 Summer reading at Bentley is an opportunity to explore important themes and ideas that help students, parents, faculty, and staff stay intellectually engaged, and we are very excited to announce our selections for this summer. Choosing a single text to read as a community is a Herculean task, so this year the Bentley faculty broke with tradition and chose three texts, giving everyone a chance to read a work of contemporary non-fiction, contemporary fiction, or a literary classic. Bryan Stevenson was a Harvard Law student uncertain about his future career when he received an assignment to meet with a man on death row in Georgia. There, Stevenson found his calling as a lawyer who dedicates himself to representing the poor and incarcerated, fighting to exonerate the innocent, and struggling to correct larger injustices. His memoir, Just Mercy, not only provides an entrypoint into contemporary debates about race and the law, but it also captures the importance of listening and compassion as well as discovering one’s purpose. Stevenson’s personal narrative about his path as a young lawyer and founder of the Alabama-based Equal Justice Initiative is gripping, and he combines humanizing individual stories of the diverse people he has represented with thoughtful analysis of larger historical issues. For his work, he has received many accolades including the MacArthur Foundation “Genius” Grant. Just Mercy speaks to Bentley’s core values and will enable our students to ask hard-hitting questions – not only of each other, but of themselves. Anthony Doerr’s Pulitzer Prize-winning novel All the Light We Cannot See chronicles the intersection of two lives, that of a blind French girl, Marie-Laure and an orphaned German boy, Werner, in the midst of war-torn Europe in the 1940s. More than simply a story of survival set in the chaos of World War II, Doerr’s vivid language and rich narrative provide a deep understanding of how personal connections and individual experiences shape the journey into adolescence. At its heart, Doerr shows through the intertwining lives of these two fascinating characters that compassion and empathy form the basis of a just society and help us each to develop our own sense of self. Like Just Mercy, All the Light We Cannot See is a story of how individual choices can influence the world around us in profound, powerful, and sometimes unexpected ways. Kate Chopin's classic, The Awakening, is a pathbreaking work of fiction set in turn-of-the-century Louisiana. The story chronicles the journey of Edna Pontellier, a woman who explores her own individual identity by rejecting the social expectations of gender and family. As the book traces Edna Pontellier’s journey of self-discovery to become what some labeled a “New Woman,” Chopin challenges the social order of late-nineteenth-century America. At the time of its first publication in 1899, the novel received limited public attention and critical fanfare; indeed, some lambasted Chopin’s apparent sympathy for what they deemed to be immoral behavior on the part of the protagonist. Starting in the 1930s, however, the book grew in readership, influence, and stature as new generations saw Chopin’s work anticipating the transformation of American cultural ideals about women. By the 1980s, The Awakening had become firmly a part of the American canon, serving as an monumental work in the transformation of our culture, influencing countless works of poetry, prose, art, and academic scholarship. These three books represent some of the core facets of our academic advising program: the process of self-discovery by facing challenges in our own lives; the role of interpersonal relationships in developing our sense of self; building community through compassion and empathy; and crafting our own story through our contributions to the broader society. While students are encouraged to read any (or all) of these texts, Just Mercy is recommended for older students (grades 11 and 12), while the other two texts are suitable for everyone. Students are encouraged to complete a written reflection about the book they choose by the start of the school year. Students who complete this written reflection will be invited to a special lunch hosted by Brian Thomas, Wendy Phillips, and Dr. Kyle Livie. We hope you have a great summer break. Happy Reading! Purchase the books here and have some of the proceeds benefit Bentley!